Each month brings the new phases of the moon, a chance to work powerful magic by the moon light and with the Gods and Goddess. 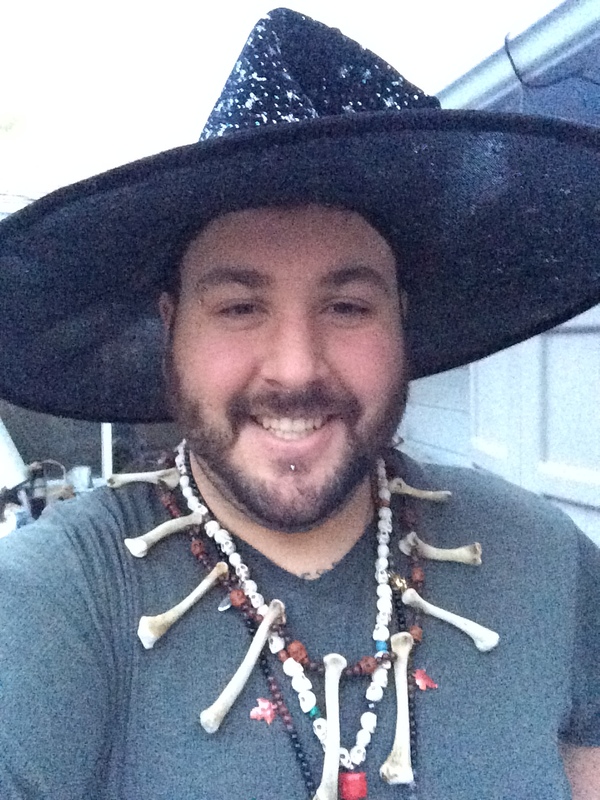 Join today if you want to study the mysteries of nature and learn moon magic. 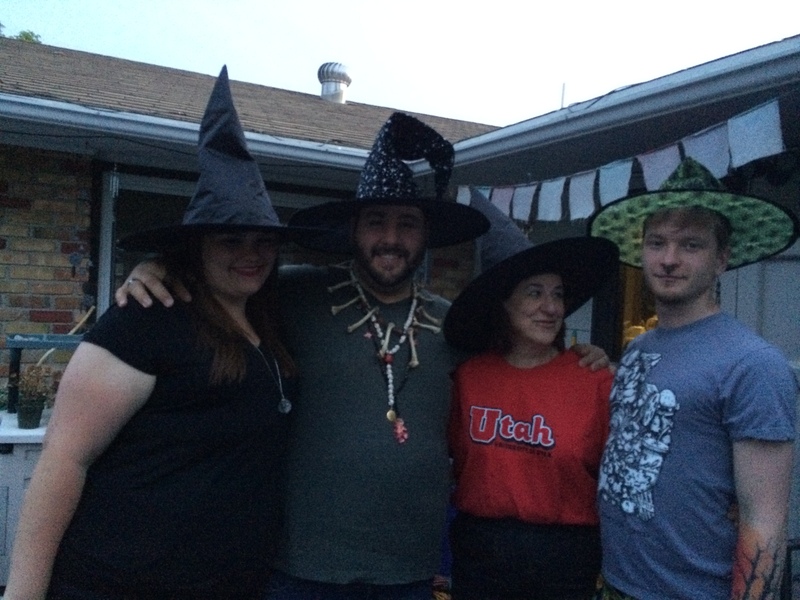 We do spells and workings each month. With the arrival of fall semester and the return of the students, it is time for tabling again at two of the big events of the beginning of the fall season. Plazafest and Welcome Week are back. 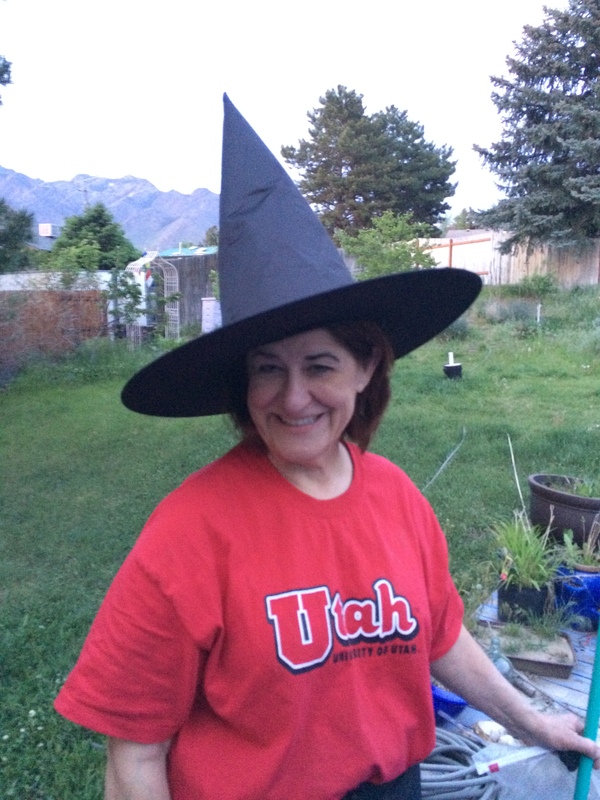 On Thursday, August 29, 2013 SLPS will be tabling from 10am-2pm giving free tarot card readings and more information about the Salt Lake Pagan Society. If you’re in the area, stop by the booth on the west lawn of the U of U Student Union Building. At 3pm there will be a full moon ritual at the flag pole at president’s circle. Hope to see you all there! The time has come again to draw down the power of the moon. 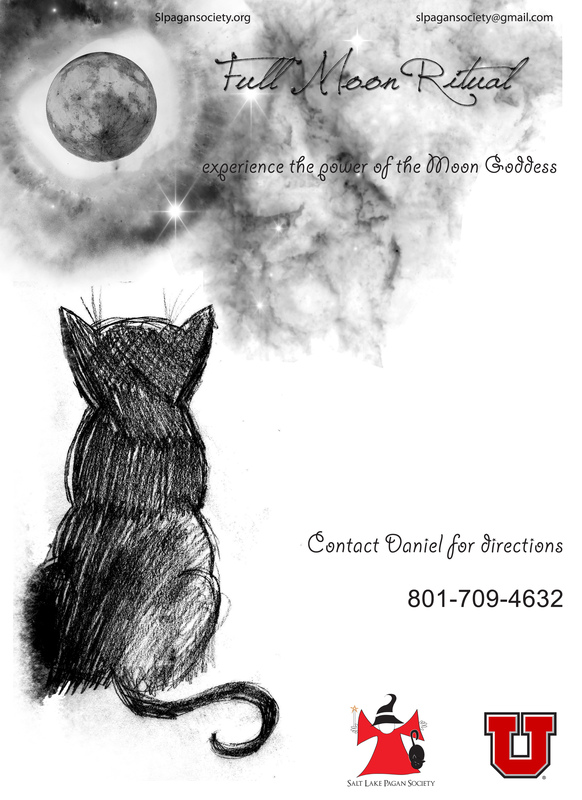 If you’d like to visit with the moon goddess, perform magic, recharge and edify yourself, come to the full moon circle for magic, myth, and good old spell work. This is a special night of Eclipse Magic, an extra powerful cycle of the moon that through the course of a few hours, a whole full cycle of the moon is seen. Join in Saturday, May 25, 2013 8pm. Please contact Muad’Dib for details. 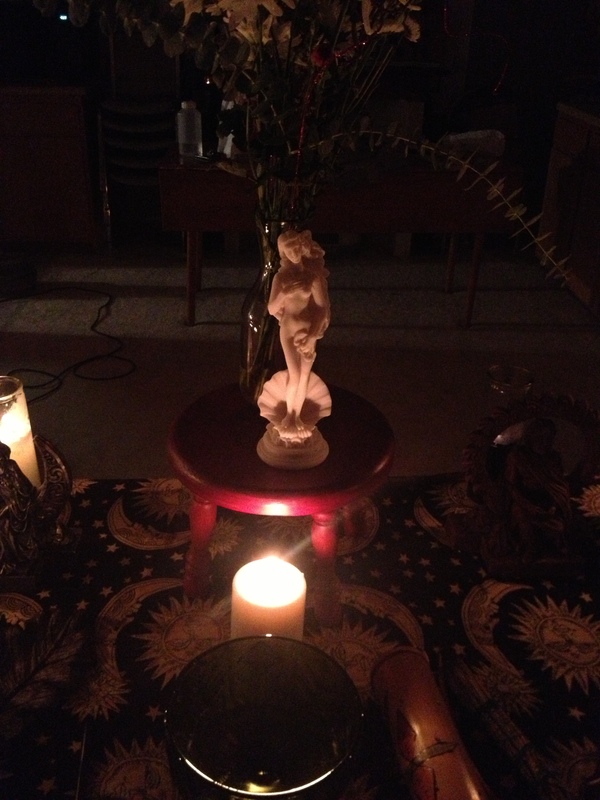 Thanks to all the members and guests that came this past Saturday, February 23 2013 at 8pm for the Full Moon Ritual to Aphrodite. Those faithful and dedicated members trekked snow drifts, high winds and low visibility to give thanks to the Goddess of Love for all her blessings, especially in the month of February for Valentine’s Day. 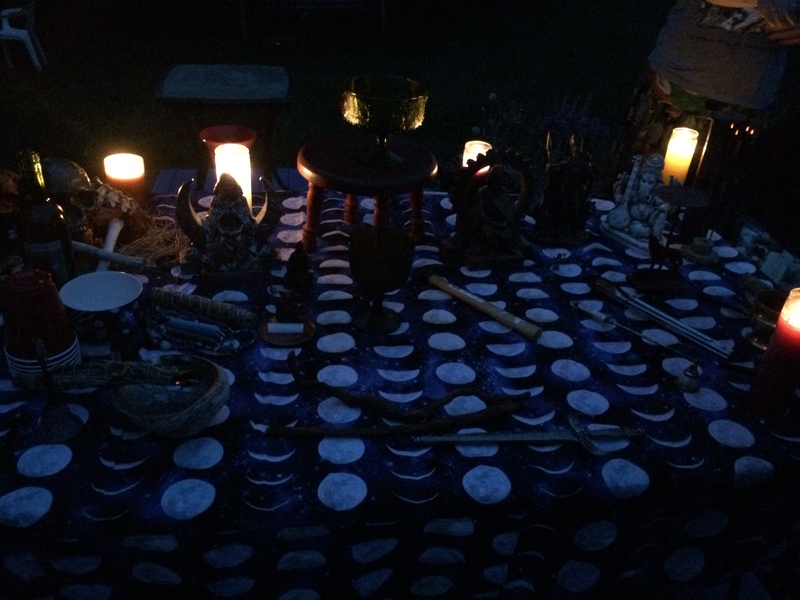 After clearing the space, shielding and proclaiming peace in the quarters, the elements, deities and ancestors were invoked to help work the magic of the night. A special appearance by the Goddess was seen in the kitchen. The appearance was captured on camera by president Muad’Dib and the goddess can be seen with Lunar Oak Spirit as he pours his personal libation. Her reflection from the kitchen is seen in the mirror as she appears to be in saint form! 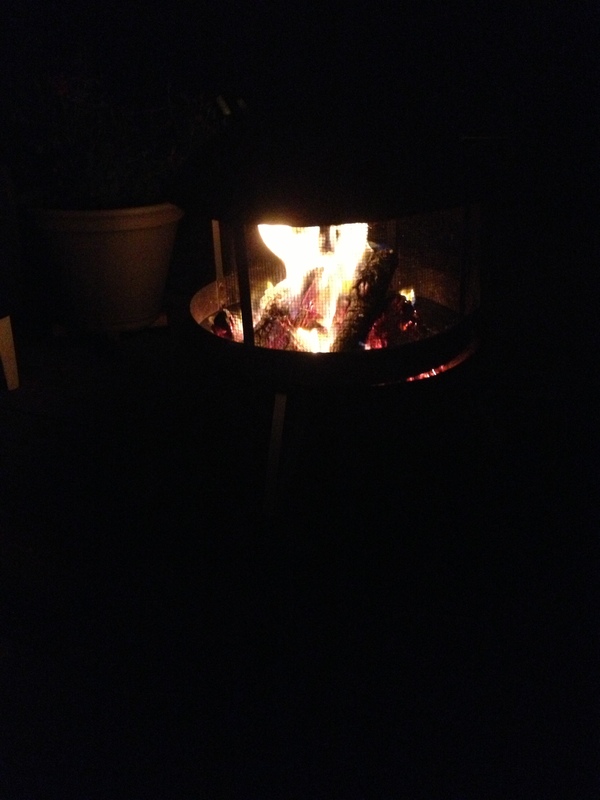 After the workings, the members enjoyed Jack Wagon Wheat Beer by Shades of Pale Brewing Co. out of Park City. Several hails, offerings and libations later, the gratitude ceremony came to a close with the traditional feasting on maple vanilla bean cookies and grape juice from Trader Joes. 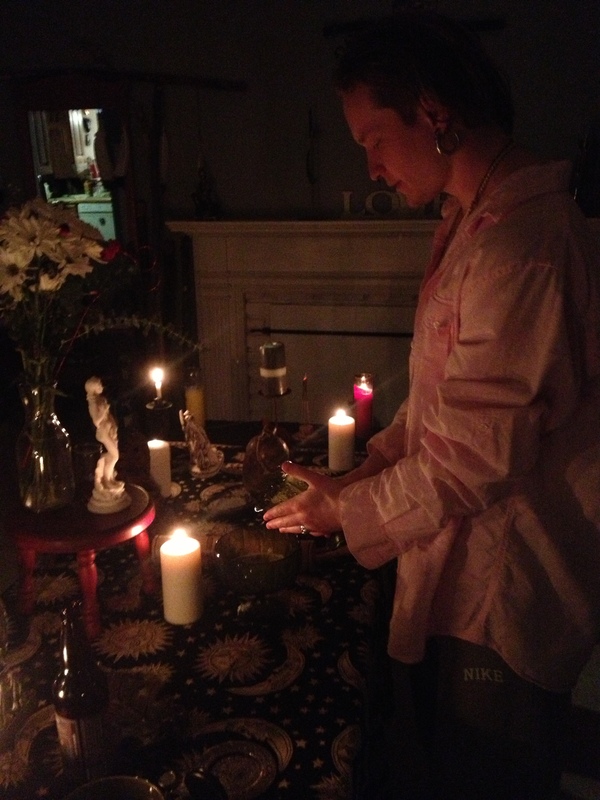 Tarot readings commenced after the ritual, keeping the tradition alive to divine the future on the full moon. See you all next moon! 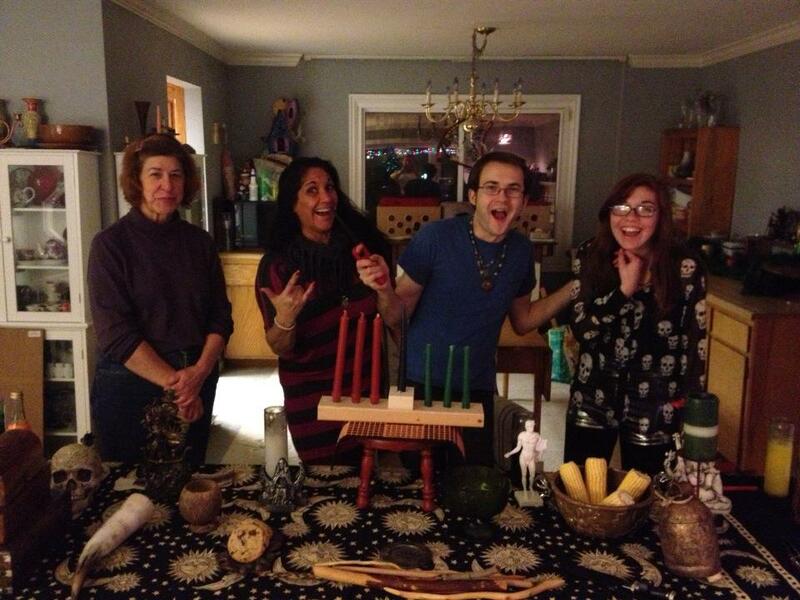 December 2012 Full Moon Ritual… Last Ritual of 2012-Kwanzaa! 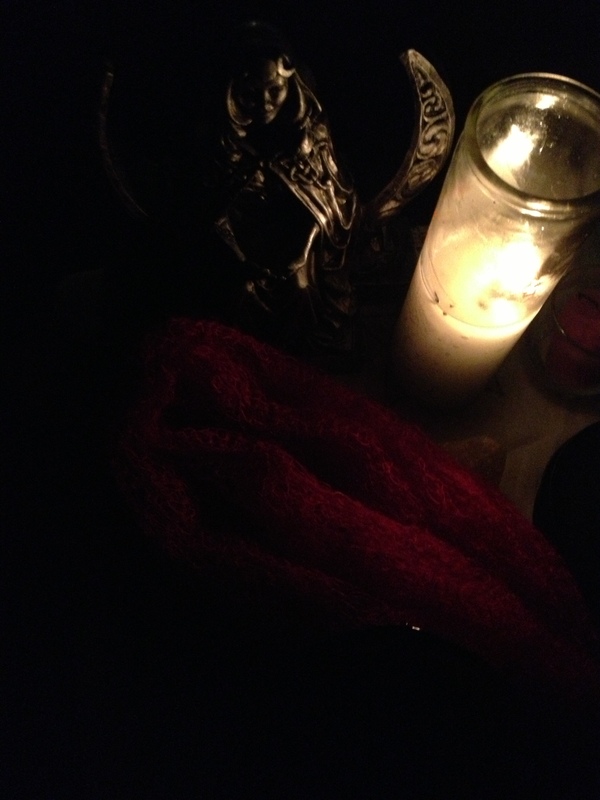 Thanks to all whom came on Saturday, December 29, 2012 at 8pm to the full moon ritual. This was the last moon of 2012 and right in the middle of Kwanzaa. The members of SLPS discussed ujamaa or community economics based in the Kwanzaan tradition. After lighting the Kinara everyone partook of the Kikombe Cha Umoja or the communal cup made from coconut~! 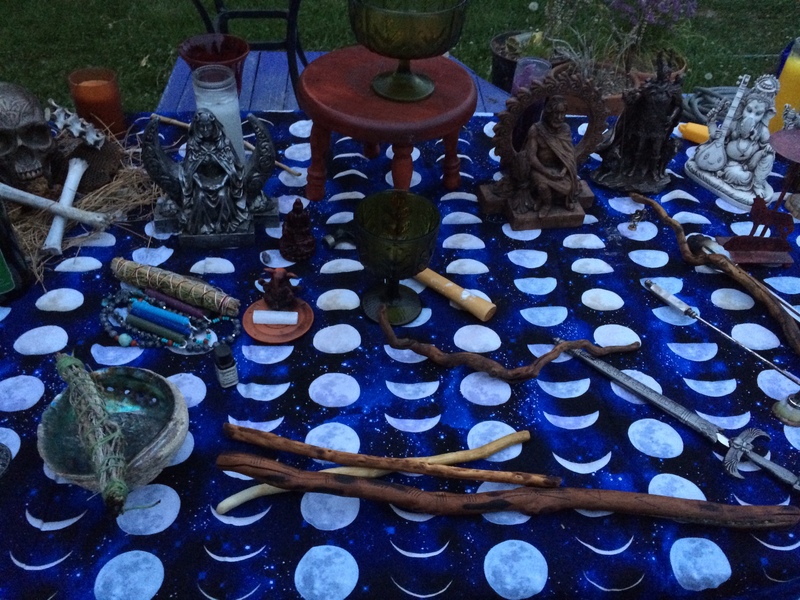 A few spells were worked and offerings given to the moon goddess before closing. SLPS looks forward to the first moons of 2013! 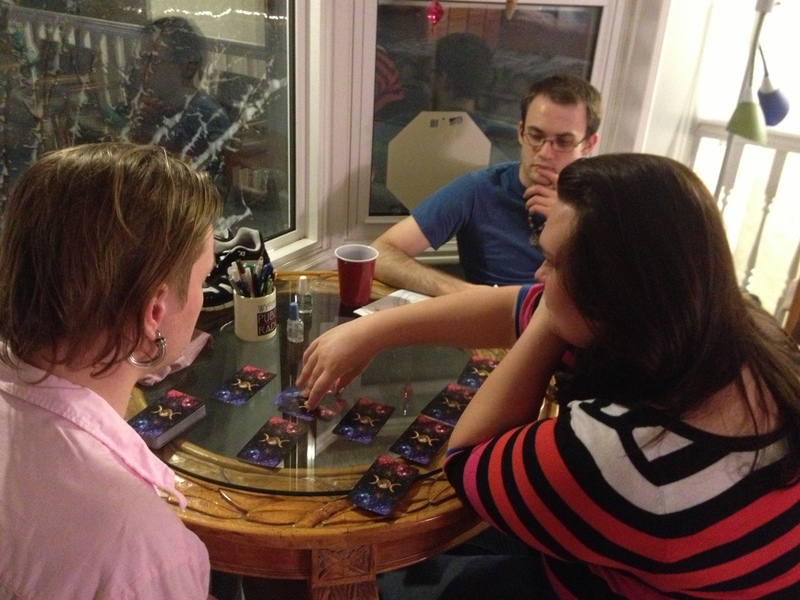 Thanks to all whom came this past Saturday, November 24, 2012 at 8pm. 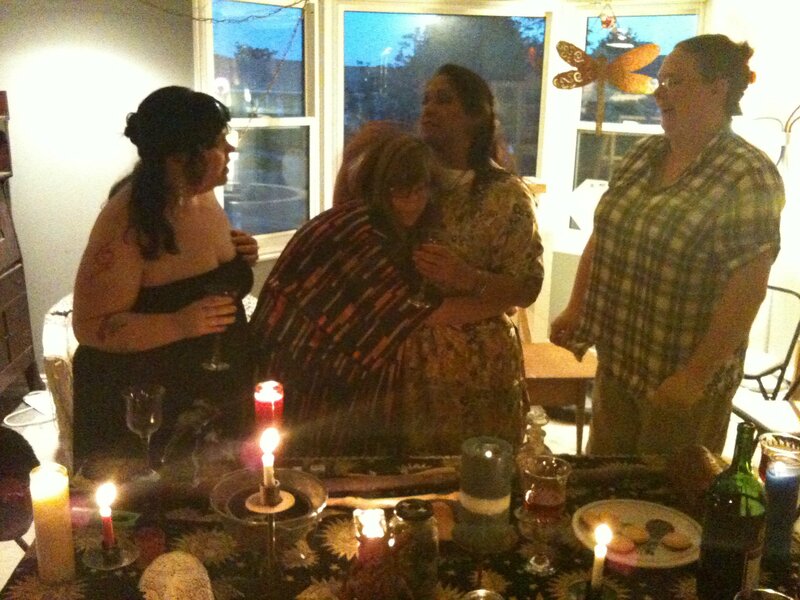 A few members gathered around to celebrate and give thanks to moon goddess at her full power. 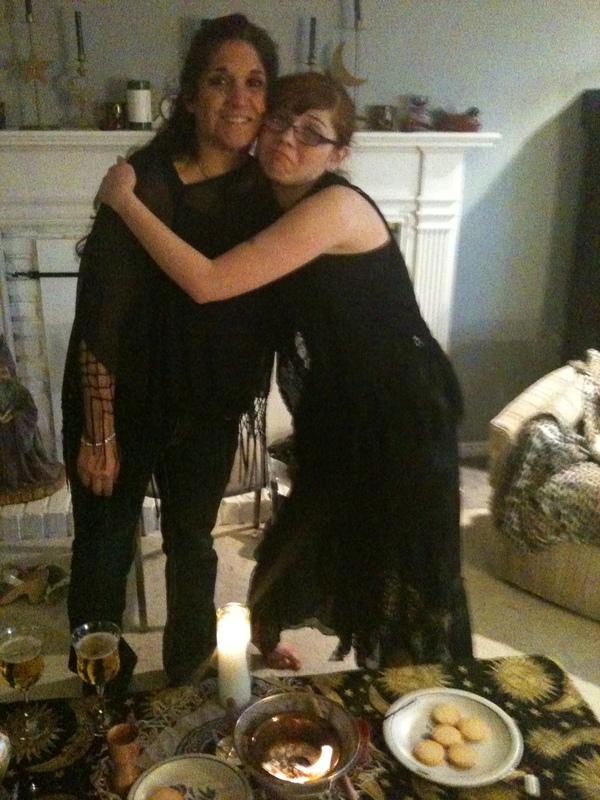 Magic and spells, love and gratitude, spirits and energy were worked this night. 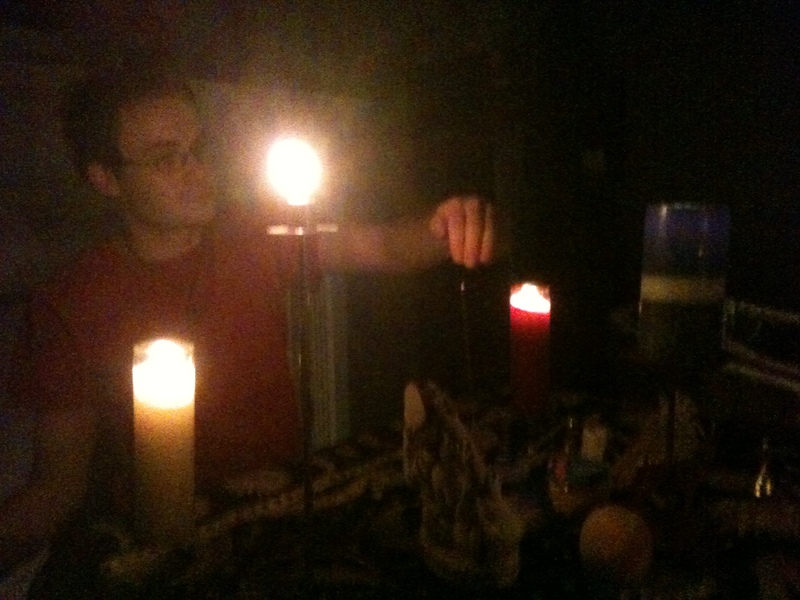 The first order of business brought a few small spells for charging and making new amulets of protection. 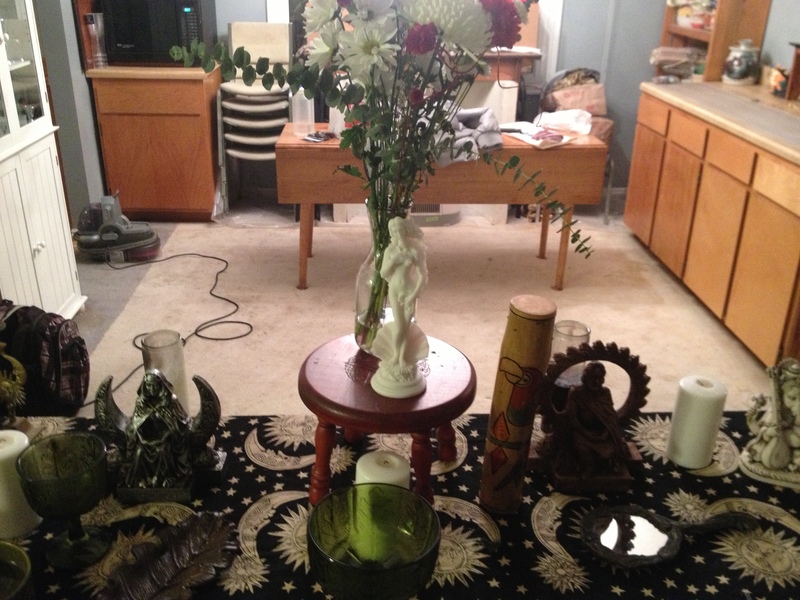 The main ritual was a gratitude ceremony to Ganesh for all he has done for us. Some of the songs played and danced to included Elephant Power, Om and Son of Shiva all by MC Yogi on his album Elephant Power. Some of the members rang bells and clapped while others shook percussion instruments for Ganesh. Ganesh himself was seen wiggling his ears and joining in the fun! 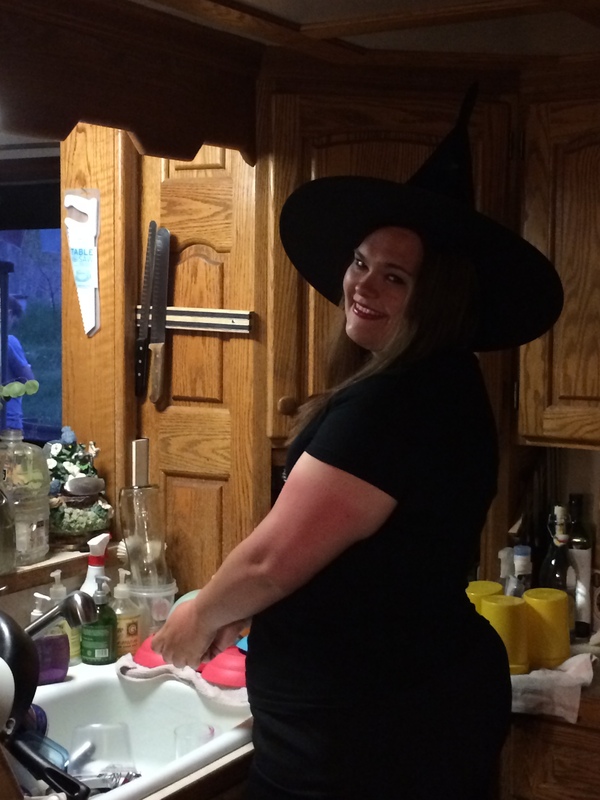 November’s full moon brought a special time for one of the members of SLPS. Ember Fire, the beloved advertising director happened to have been born on this auspicious day! With cake, card, candles and flower, the group gathered around her and sang and gave special birthday wishes and love. The benefit of Pagan birthdays besides all the goodies, is that the candles can be washed, cleaned and stored away until they are needed for wishing magic! With the birthday over, the ritual came to a close and the cake portioned out. Woman Between the Wolves, SLPS adviser made a homemade white cake with chocolate frosting…delicious! Afterwards, the party continued with a viewing of To Wong Foo: Thanks for Everything Julie Newmar! 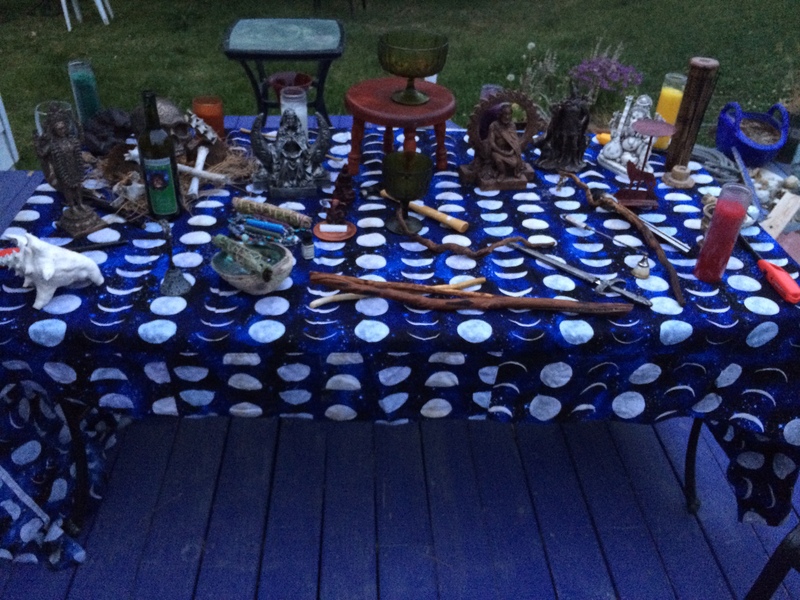 Full Moon Ritual-Rare Blue Moon! Everyone should come pull down the power of the Blue Moon. The “once in a blue moon” is a special time to empower your soul, cleanse your mind and really add power to the spells, emotions, goals and dreams your working on. 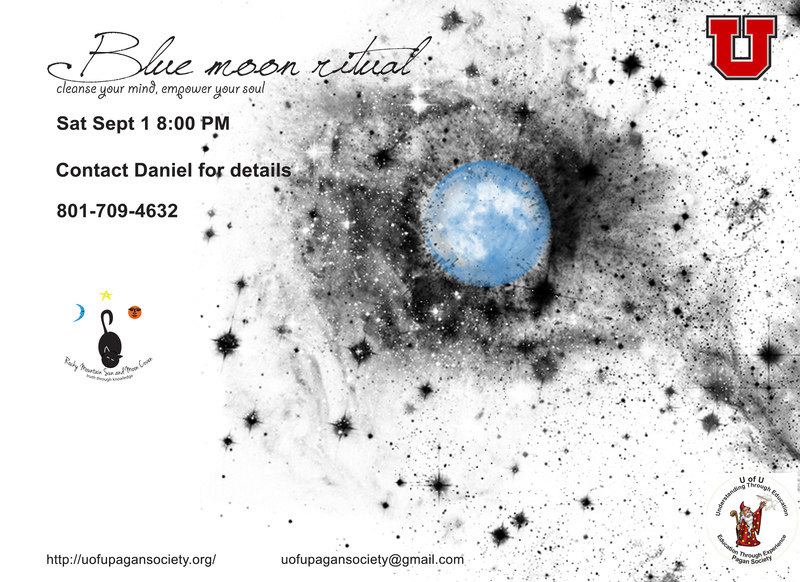 Come experience the power of the moon Goddess in her Blue form this September 1, 2012 at 8pm! Once again Luna has gained in light and is full and bright smiling upon us. Mother moon is reaching out and calling for us to worship and stand in her light. 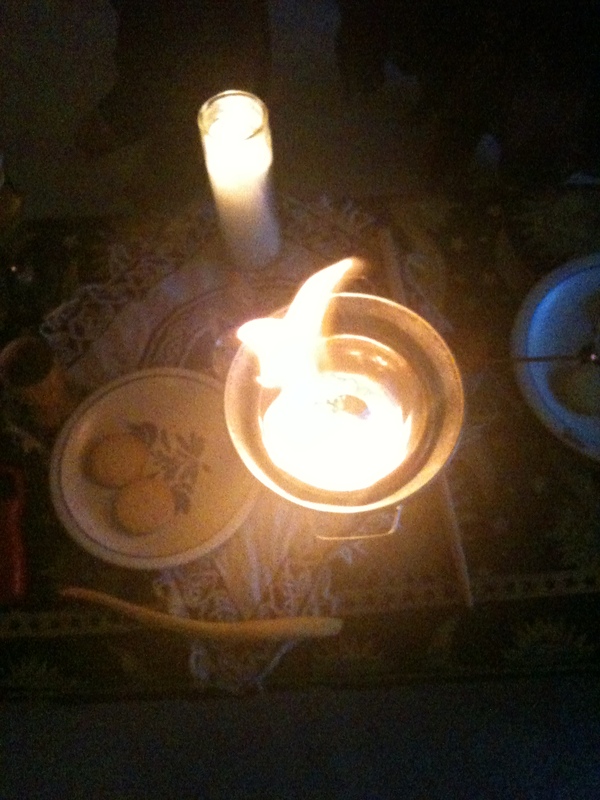 UUPS met this month on Monday, January 9, 2012 and honored the moon, working magic rites, renewing themselves, cleansing objects and charging stones with energy. Every month brings the renewed opportunity to call down the power of the full moon. This month brought a wonderful time for UUPS members to call on Luna and embrace Lord Ganesh to help them be empowered and overcome difficulties on Saturday, December 10, 2011. During the full moon, members Laura Farnsworth and Ryc Pellum dueled over who would get to call on Lord Ganesh to help them in their magic. All present could feel the helping hand of Lord Ganesh come down from above to overcome difficulties and accomplish their magical rites. The magic was pooled together by the members. UUPS can’t wait till next month to call down Lord Ganesh and work magic rites. Each month brings the opportunity to work powerful magic and spells under the light of Diana. The moon is at full strength and freely gives her energy and light to those who call upon it. This month those present worked with money, banishing and cleansing objects. President Muad’Dib drew down the moon on Friday, July 15, 2011 to perform the magic necessary. “I always feel so good afterwards. I love coming and participating in these rituals. In these, I feel the true spirituality of my practice. I feel the true craft. I see and understand what others have been talking about for centuries when they talked about the Craft and Magic. I can feel the gods and ancestors. I know they’re helping me and creating positive change in my life.” Said Fire Runner. A few select members of the Pagan Society meet under the beautiful gaze and light of the full moon to give honor and grace to the Moon Goddess on May 17, 2011 at 8pm. 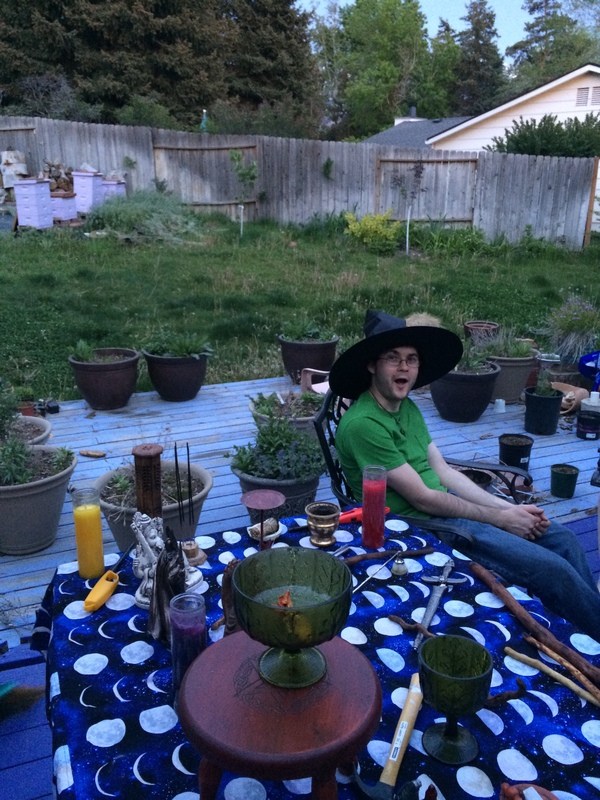 After a few magical workings, personal offerings were given and treats shared among the members. Till next we meet!